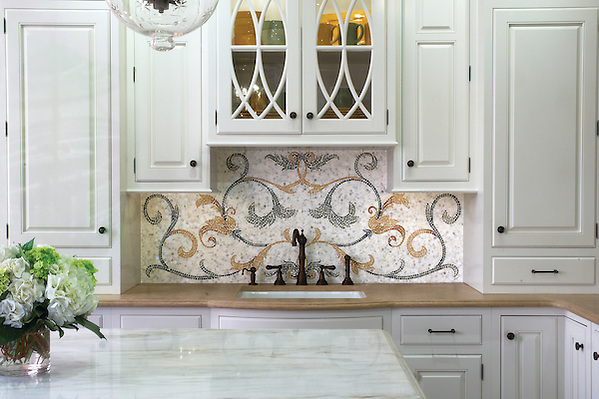 Many homeowners are dramatically using mosaic tile above a cook top or even a sink area. When choosing tile as a focal point, symmetry, order and scale are all important elements to consider. We love this design by New Ravenna called Tamsin. They recommend “making it large; bring your mosaic out to the edges of your hood or sink area, either with a flowing design or with trim.” Also, make sure your installer has experience installing artistic mosaic tile.